It has been months in the making, but we are finally ready to reveal our mobile concierge services through GuestFolio. fibre-optic internet connections, WiFi or cabled, with a premium service for even higher speeds. The other part of the concierge service is a more in-depth survey system that will help us serve you better in the future. 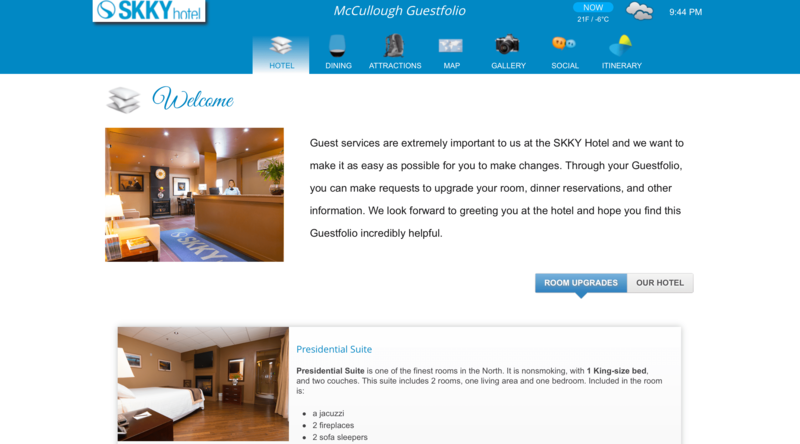 It is quick and easy to fill out, asking questions about the rooms, hotel service, the restaurant, and allows you to leave us comments directly. The surveys are not published anywhere unless you decide to publish them to TripAdvisor. The best part is the survey responses are linked to your reservations so we can see exactly who you are, when you stayed, and the room you were in without having to guess. Hotel management can contact you directly to resolve any potential problems or thank you for any suggestions you may provide without having to do so publicly. We are all quite excited about this new system and hope our guests will make full use of it. If you have ideas for improvements with the mobile concierge service, please send us an email and we will do our best to either fix things ourselves or be in touch with the support team at GuestFolio. We look forward to serving you better now and in the future.